This reading list is to accompany our comprehensive course, A Magickal Herball Compleat. For the reader’s convenience the following list has been organised by lesson/chapter headings. 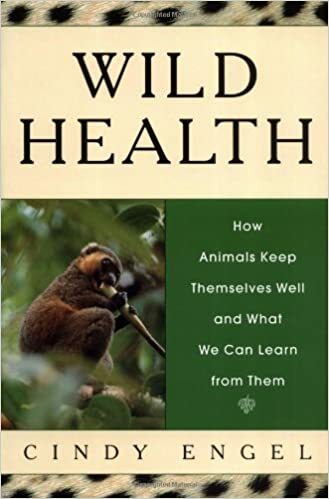 Cindy Engel, Wild Health: How Animals Keep Themselves Well and What We Can Learn From Them, Houghton Mifflin, 2002. Tells you exactly what it says on the cover. A. Wallis Budge, The Book of the Dead, more properly known as The Book of Coming Forth by Day can be found at http://www.sacred-texts.com/egy/ebod/ or for a hard copy see The Book of the Dead, Dodo Press, 2005. Whilst Budge’s work has been significantly updated since his original writings, it is of use in considering the information available to occultists of that era. F. (Margaret F.) Roberts, Michael Wink, Alkaloids: Biochemistry, Ecology, and Medicinal Applications, Springer, 1998. An academic work that contains an excellent short history of herbs. Nicolas Culpeper, Culpeper’s Complete Herbal, Wordsworth Reference, 2007. If there is one work on herbs that you will buy this chapter then this is it. Although many of Culpeper’s remedies are still relevant today many are frankly dangerous as well, what makes this book so useful is its store of magickal and astrological herbal lore. For those wanting a detailed discussion of Greek and Roman herbal traditions see Dr Walter Sneader, Drug Discovery, John Wiley and Sons, 2006. Nicholas Culpeper, The Astrological Judgment of Diseases from the Discomfiture of the Sick. Today published by Kessinger, 2004. An excellent facsimile edition, detailing Culpeper’s views on astrology, medicine and illness. Well worth a look by those curious to know more in detail about seventeenth century astro-pharmacy. Nicholas Culpeper, Culpeper’s Complete Herbal, Wordsworth Reference Series, 2007. Scott Cunningham, Cunningham’s Encyclopaedia of Magickal Herbs, Expanded and Revised, Llewellyn, 2003. Cunningham’s work is designed for magickal rather than medicinal use, although he draws on Culpeper for many of his astrological attributions. This book is highly recommended as it is among the best and most user friendly of modern magickal herbal texts. Nicola Peterson, Herbs and Health, Bloomsbury Books, 1989. Of interest to those wishing to know more about how herbs may be used to promote health. Robert Graves, The White Goddess: A Historical Grammar of Poetic Myth, Farrar, Straus and Giroux, January 1, 1966. W.B. Crow, The Occult Properties of Herbs and Plants, Aquarian Press, 1980. Scott Cunningham, Encyclopedia of Magickal Herbs, Llewellyn, 2003. Steve Andrews, Herbs of the Northern Shaman: A Guide to the Mind Altering Plants of the Northern Hemisphere, Loompanics, 2006. John Marco Allegro, The Sacred Mushroom and the Cross, Hodder and Stoughton, 1970. Matthew Dickie, Magic and Magicians in the Greco-Roman World, Routledge, 2003. All of the books in this list are excellent sources for practical healing techniques using herbal remedies. Tammi Hartung, Growing 101 Herbs that Heal: Gardening Techniques, Recipes, and Remedies, Storey Publishing, LLC, 2000. James Green, The Herbal Medicine Maker’s Handbook: A Home Manual, Crossing Press, 2000. Rosemary Gladstar, Family Herbal: A Guide to Living Life with Energy, Health, and Vitality, Storey Publishing, LLC, 2001. Nancy Phillips, Michael Phillips, Rosemary Gladstar, The Herbalist’s Way: The Art and Practice of Healing with Plant Medicines, Chelsea Green; Revised edition, 2005. David Hoffman, Medical Herbalism: The Science Principles and Practices Of Herbal Medicine, Healing Arts Press, 2003. Hoffman is something of a herbalists’ herbalist and this book comes highly recommended by many experts within the herbal community. René-Maurice Gattefossé, The Practice of Aromatherapy, available from Beekham Books, 1990. Joannah Metcalfe, Herbs and Aromatherapy, Bloomsbury Books, 1993. John Reid, Course on Practical Alchemy at http://www.alchemywebsite.com/johnreid.html. Mark Stavish, Practical Plant Alchemy at http://www.hermetic.com/stavish/alchemy/plant1.html. Frater Albertus, Alchemists Handbook: Manual for Practical Laboratory Alchemy, Weiser Books, 1987. A number of useful chapters on herbs and alchemy as well as being a great guide to practical aspects of the Royal Art. Satnton J. Linden, ed. The Alchemy Reader: From Hermes Trismegistus to Isaac Newton, Cambridge University Press, 2003. An excellent source book of extracts from primary texts. Anthony Campbell, Homeopathy in Perspective: Myth and Reality, available for free here: http://web.archive.org/web/20070829102314/www.acampbell.ukfsn.org/homeopathy/homeopathy-html/index.html. Amy L. Lansky, Impossible Cure: The Promise of Homeopathy, R.L. Ranch Press, 2003. Written by a convert who attributed the cure of her son’s autism to homeopathy. A comprehensive guide, Tarcher, 2004. Miranda Castro, The Complete Homeopathy Handbook: Safe and Effective Ways to Treat Fevers, Coughs, Colds and Sore Throats, Childhood Ailments, Food Poisoning, Flu, and a Wide Range of Everyday Complaints, St. Martin’s Griffin, 1991. Samuel Hahnemann, R. E. Dudgeon, Trans., Organon Of Medicine, Kessinger Publishing, 2007. Available for free here: http://www.homeopathyhome.com/reference/organon/organon.html. Samuel Hahnemann, The Chronic Diseases: Their Peculiar Nature And Their Homeopathic Cure, Kessinger Publishing, 2007. Rima Handley, A Homeopathic Love Story: The Story of Samuel and Melanie Hahnemann, North Atlantic Books, 1993. Great biographical account of these two historic figures, full of wonderful anecdotes. Hahnemann Revisited, A Textbook of Clasical Homeopathy for the Professional, Full of Life Publications, 2001. A wide range of works by Edward Bach can be found here and available for free: http://www.edwardbach.org/research/booksHome.asp?languagebox=1§ion=Remedies. Included are: Heal Thyself 1931, the first of two versions of this book that Bach published; Ye Suffer From Yourselves, the text of a lecture given by Dr Bach in Southport in 1931; New Remedies, first published in Homeopathic World, 1930; Free Thyself ; Considerations on Disease, first published in Homeopathic World, 1930; The Twelve Healers and Other Remedies, 1936; Healing by Herbs, the text of a public lecture given by Bach in Wallingford, Oxfordshire, on 24 Sept 1936. On the same site will be found a whole range of related publications, many of which are available at no charge. Stefan Ball, The Bach Remedies Workbook, Vermilion, 2005. Judy Howard, The Bach Flower Remedies Step by Step: A Complete Guide to Selecting and Using the Remedies, Vermilion, 2005.